Orangeburg, S.C. – Three Claflin University students have been selected to travel abroad to conduct research in ethnomusicology. Akilah Morgan, Jacqueline Pleasant and Ar’Darius Stewart will participate in research on why and how people make music. The three students competed with a highly qualified peer group at Claflin for these rare international research opportunities. Morgan and Pleasant will travel to Trinidad, Tobago, and Barbados with Dr. Alison Mc Letchie, an assistant professor of sociology at Claflin. 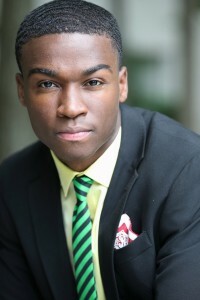 Morgan is a rising senior with a double major in music and sociology from Los Angeles, Calif. 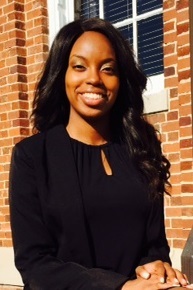 Pleasant is a rising senior from Port Tobacco, Md., majoring in biochemistry with a minor in music. Mc Letchie’s project, Let My People Sing: Toward an Ethnomusicology of Catholic Musical Indigeneity in Trinidad, will engage Morgan and Pleasant in a broad cultural survey of Catholic Church musicians across three geographically similar, yet culturally distinct Caribbean islands. Stewart and Dr. Peter Hoesing will visit the East African nation of Uganda. 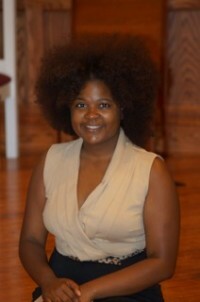 Steward, a native of Abbeville, S.C., is a mass communications major with a minor in theater. Hoesing is an assistant professor of music history and ethnomusicology at Claflin. His project, Archiving Africa: Critical Perspectives in Post-Colonial Digital Humanities, will immerse Stewart in a research collaboration at the Klaus Wachsmann Music Archive at Makerere University. Hoesing and Stewart will support the Archive’s efforts to catalogue and digitize their holdings. These study abroad opportunities were made available through the Faculty International Research Awards from the Claflin University Visionary Leadership Institute’s (VLI) Global Leadership Program (GLP). These awards were funded by a grant from the United Methodist Church Black College 5% Fund. The Black College Fund assists the 11 United Methodist-related historically black colleges in funding for faculty development, maintaining infrastructure, student scholarships and financial aid. The Claflin University Visionary Leadership Institute (VLI) prepares Claflin University graduates to be globally engaged visionary leaders. The VLI provides Claflin students with extraordinary opportunities to develop the competencies required of visionary leaders. The Global Leadership Program (GLP) supports the goals of the VLI by preparing students for global leadership roles in their chosen fields and offering opportunities to develop international as well as interdisciplinary leadership skills focused around emergent global issues.